An Illogical Tribute To Spock's Beard | Warped Factor - Words in the Key of Geek. In 1992, a year after the release of the final film to feature the entirety of the Original Series crew, Star Trek: The Undiscovered Country, cult heroes Spock's Beard formed. Originally spearheaded by brothers Neal (keyboard/lead vocals) & Alan Morse (guitar), the band is known for their intricate, multi-part vocal harmonies and use of counterpoint vocals. "Spock's Beard was sort of a phrase that we'd say to each other - my brother and I - when something weird would happen. We'd say, "Wow, that's like Spock's Beard," meaning, "that only happens in a parallel universe, right?"." It is of course a reference to Mirror Mirror, but Alan had originally suggested the name in jest. "I put Spock's Beard on the list sort of as a joke [but] everybody seemed to like it the best, and so we picked that one." 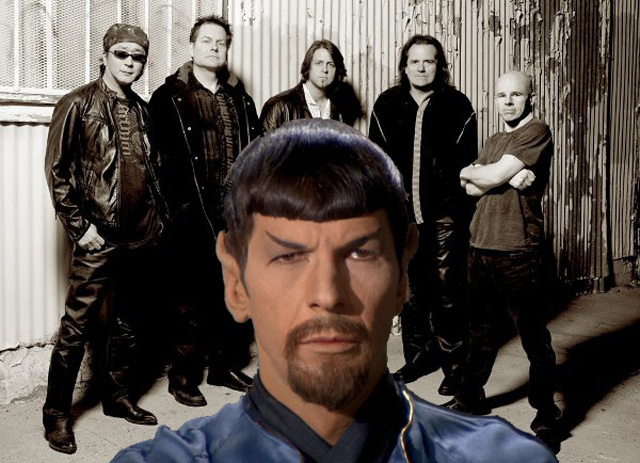 "Spock’s Beard has always existed in that sweet spot where Beatlesque melodic rock meets prog. More adventurous than Asia, more melodious than Dream Theater, Spock’s Beard brings a refreshingly American spin to the Brit-originated prog rock format." "Sure, they can play in 17/9 time like Yes or ELP; sure, they’re all world-class players on their respective instruments; but like Genesis they’ve always put songwriting first. Their original take on this classic style has earned the band a devoted following, but they haven’t always enjoyed smooth sailing over their years of existence." Legal trouble threatened to dog them early on. On the flipside it did get them an early gig! "There's definitely an overlap. I would say that probably a sizable chunk of our fans are also Star Trek fans, just because our music comes from a similar mindset. A lot of our fans are, well... nerds. And I say that in the nicest possible way. I consider myself a nerd. So there's definitely a big overlap there, although I have to say there's nothing else in our music or in our lyrics that touches on Star Trek in any way."